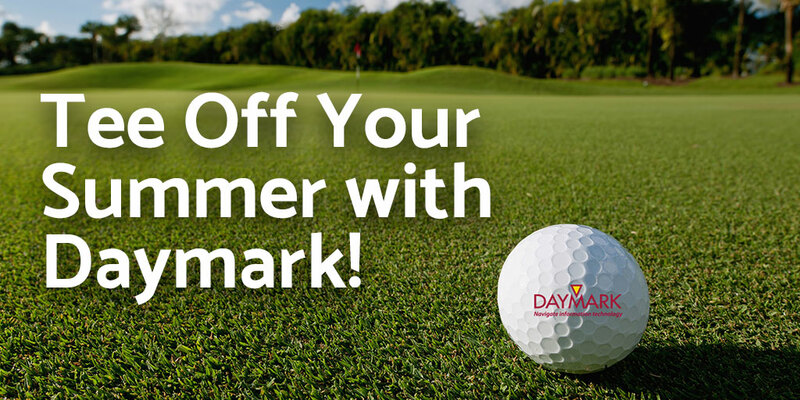 Lexington, MA, May 17, 2018 - Daymark Solutions announced today that it is hosting a customer appreciation golf outing on June 6, 2018 at the Butter Brook Golf Club in Westford, MA. The event will be a shotgun format and tee-off is at 9:00 a.m.
After a day on the course, golfers will be invited to enjoy some food and drink at the 19th hole. Customers are invited to reserve their spot as soon as possible as space is limited. “We enjoy spending time with our customers outside of the data center,” said Tim Donovan, President of Daymark Solutions. “This is always a fun and relaxed way to kick-off summer.” The event is co-sponsored by Veritas.